Welcome to the "Brave New World" Two Week Challenge. Do you ever wonder what would happen if major world events never happened, how the world would've changed right along with it? Well, you're about to. In this One Week Challenge, your job is to research and alter a historical event and make it so that a particular event didn't happen. But, that's not the script you have to write. Instead, your story takes place inside this alternate reality. Did the United States lose the Revolutionary War? Did Hitler not invade Russia? Did Chernobyl not melt down? Now, you have to find the right story to tell inside the new world that you've created. It could be as little as five minutes or hundreds of years later. Of course, the later it takes place, the greater the changes are, so take this into account. Of course, depending on the amount of work you put into creating this new world, you may need the whole two weeks or just a couple of hours, so long as you interpret a realistic world where a certain major world event never happened. At the same time, the altered event is not your story, your story simply takes place in the altered world. T-minus 336 hours until your OWC script is due. You have fourteen days to write a screenplay of between 10 and 15 pages. The screenplay must be properly formatted and in PDF format. The scripts are due on Friday, January 26th at 11:59PM EST and must be submitted to: SimplyScripts.com/owc. There will be a Review Page E-mailed to you for you to score the scripts you read. Please only give scores to scripts that you have read. January 12th at 11:59PM EST - Theme and Genre announced. January 26th at 11:59PM EST - Scripts are due. February 2nd at 5:00PM EST - Names and results revealed. Your script must feature a story which takes place in an alternate reality where a major world event never happened. The story does not have to be related directly to the event but the world should be reflective of a new world inspired by the reality you've created. Please do not give a score inside the actual script review. Instead, wait until the scorecard is given out. Thank you. Properly formatted & saved as a PDF file. This isn't a contest. There are no prizes. 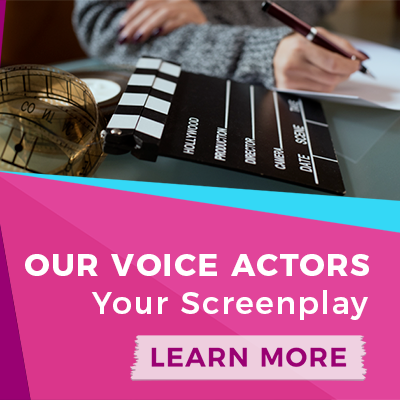 You can revise your script as many times as you wish up until 11:59PM EST on January 26th. Participants are strongly encouraged to read and comment/review on the scripts submitted. Do not put your real name on your script. However, please use your real name when submitting your script. (After the challenge closes you can either have your script removed or resubmit with your script with your name on it. Please put © on the bottom left corner of your title page. Best of luck and I hope you guys have a lot of fun with this contest. Now, this contest may cause a lot of confusion, so hopefully I can help out a bit. I'm going to stay on for half an hour to answer questions you guys are probably going to have. Seems pretty straight forward to me! Where's the peeps on skype? My only question is this. It says "One" Week Challenge, but we have fourteen days? It's probably just the title, but I just wanted to make sure, we do have fourteen days to write it. Ooh sounds awesome! I'm away being pampered and spoiled on a weekend break at the moment but I'll start thinking about possible ideas. So... we’re in the real world, populated by real historical events. Except in this world, one event turned out differently. That’s right, right? It would have to be a fairly major, well known event. There has to be a reference to something that confounds the reader’s common knowledge expectations. Like, “wait, I thought Hitler DID invade Poland”. And that’s not the subject of the story, or at least doesn’t have to be. This should be a story set in that world, where that alternative event may or may not affect the story. So long as it plays a relevant role somehow, we’re good. Right? How do you know your cat was kidnapped and not run over, scooped up and cremated? Maybe it died through misadventure... hunting a rat, or bird and got trapped somewhere, starved to death, or eaten by foxes. My cat went awol last year. My secret hope is that she was kidnapped by a lonely old lady and turned into a full-time house cat... but I know there are a lot of other - perhaps more probable - scenarios. Anyway, great challenge. I think a lot of the time will be used finding the perfect moment in history to change. Color me intrigued. I'll have to see what I can come up with. Dustin, somewhere in continental Europe, a rich old lady bought a beautiful pair of gloves made of my cat. Sad but true. Possibly. Exactly. One event turned out differently and it has to be a major world event. However, you don't have to make a direct reference to the event being changed in the script. This is not a time travel OWC. Instead, for your characters, this is reality as they've always experienced it. Yes, exactly. The changed event isn't your story. Your story can come anytime after, in some form of logical progression from that event. I think a lot of the time will be used finding the perfect moment in history to change. Which is why I gave you guys the extra week. In a perfect world, one week would be spent with world building and the other week would be for actually writing the script. I will say, I’m all over this like white on rice. I've got one... imagine how much better America would be if they hadn't won the revolution. Ouch. Or England if America didn't participate in WW I or II Europe?